Do you know where the 5p spent on an Asda carrier bag has been going? Over the last few years, Social Investment Scotland (SIS) has been delighted to see a collective pot of more than £1 million that has been made available to support some highly impactful social enterprises. Set up in partnership between SIS and Asda, Asda Community Capital uses proceeds from the 5p bag charge to lend over £1 million in small loans to communities across Scotland. Pretty cool, right? Social enterprises across the country have received Asda Community Capital loans from SIS; from Global Yell up in the North Isles, to North Highland Radio in Dingwall, to Brewgooder and Breadshare in the Central Belt. 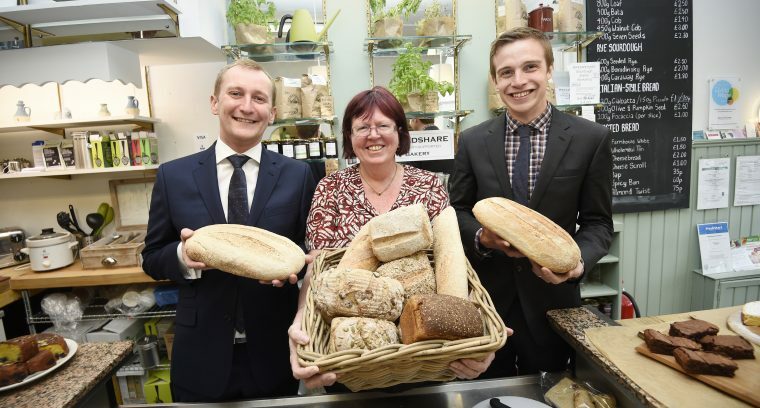 Breadshare, for instance, is a non-profit, social enterprise whose mission is to deliver real bread for everyone. They promote the health benefits of real bread and make it accessible to everyone in the community. If you want to check out Breadshare, and we recommended that you do, just follow the scent of freshly baked, real bread coming from Seafield Road in Edinburgh. With the ability to provide smaller, and seemingly riskier, loans ranging from £10,000 to £50,000, the Asda Community Capital fund has helped us to further bridge the gap for social enterprises to access money to become sustainable for greater growth and impact. We’re continually delighted that less-established social enterprises can access loan finance where they otherwise would not have been able to. To date, we have invested over £1 million in nearly 40 organisations through the Asda Community Capital fund, with many serving some of the most deprived areas on the Scottish Index of Multiple Deprivation. They have created impact in areas such as employment, training and education, citizenship and community, and arts, heritage and sports. Our mission is to ‘connect capital with communities’ and we do this through the wonderful and driven social enterprises of Scotland. SIS, along with the entire responsible finance sector, must continue to work strategically towards a more accessible social finance ecosystem which supports enterprises of all sizes to become more self-sufficient to create greater impact. So the question is; could you have even more impact?